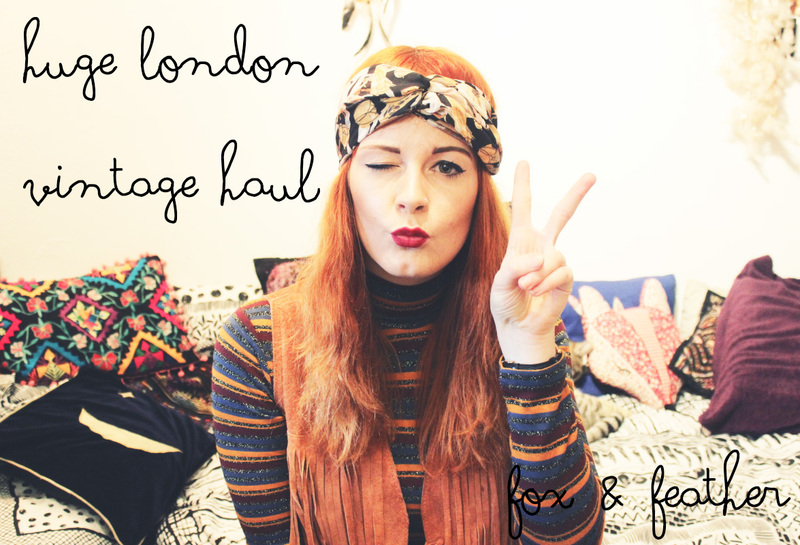 Last month I picked up an absolute shed load of vintage treasures from London whilst I was visiting for my birthday. Rather than list them on my blog, I decided to film a quick haul of some of the newest vintage additions to my wardrobe from the past month. I'm pretty awful on camera, so please bear with me whilst I get used to this YouTube malarky. I plan to focus my channel on vintage styling, secondhand shopping tips, travel, food, culture & lifestyle, so if that sounds like your cup of tea why not subscribe to Fox & Feather?